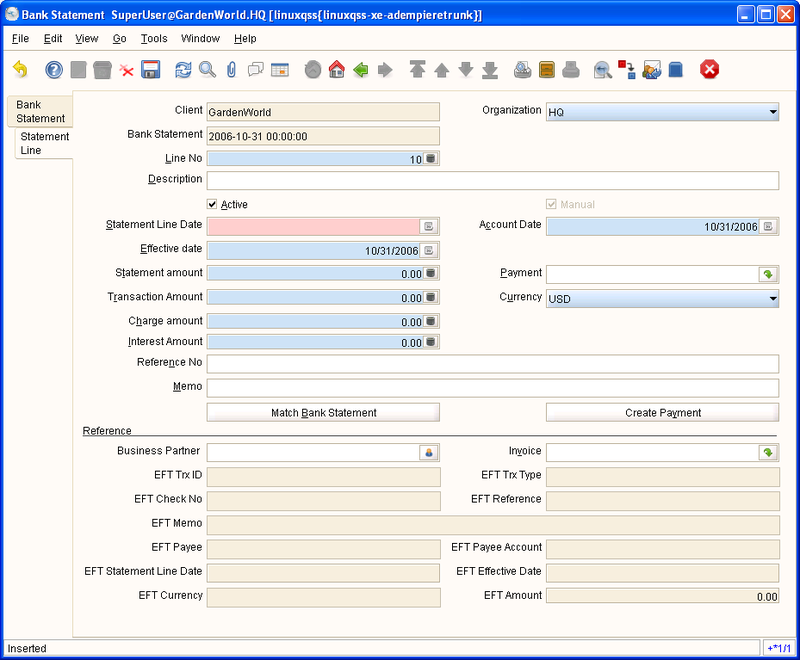 Help : The Process Bank Statements window allows you to reconcile your Bank Statements. 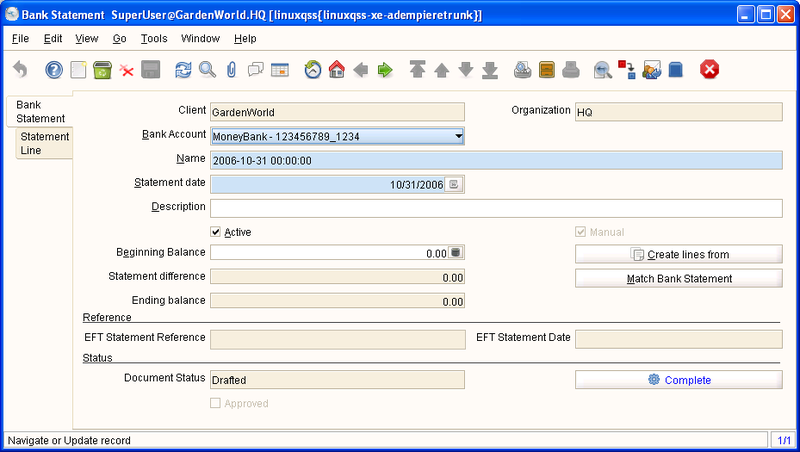 You can either enter the line items from the statement in the Statement Line tab or select the 'Create From' button to automatically generate the statement from all unreconciled payments to this bank account. Once you have completed reconciling, select the 'Process Statement' button to mark the payments as reconciled and update the appropriate GL accounts. Help : The Bank Statement Tab defines the Bank Statement to be reconciled. Help : The Statement Line Tab defines the individual line items on the Bank Statement. They can be entered manually or generated from payments entered. For Posting, the bank account organization is used, if it is not a charge. This page was last modified on 14 December 2006, at 13:13.